Ady Knold, 88, of Arbor Terrace Ortega wanted a relaxing, enjoyable retirement. That’s why she chose Arbor. Like many Arbor residents, Ady had a full life before retiring. Arbor offered a chance to transition to a more relaxed existence that still offered fulfillment and meaning. A Navy wife, Ady was a secretary for a Naval commander in Washington, D.C., before retiring. She has carried her commitment to the Navy into retirement and loves watching airplanes from the local Navy base. She says she loves the people she has met at Arbor and that the dedicated staff makes the community feel like home. 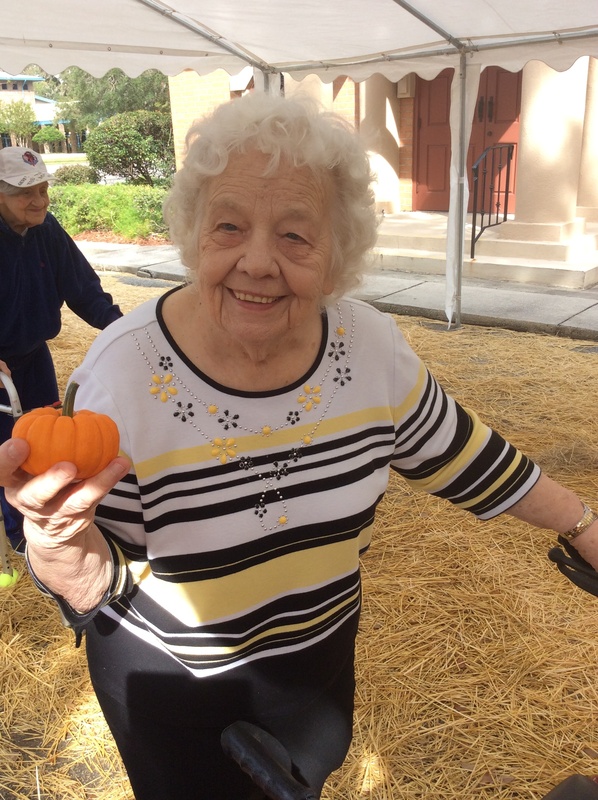 She’s especially fond of walks in the garden with other residents, the staff, and residents’ friends. The staff loves her just as much as she loves them. “Ady always has a great sense of humor and can make you laugh,” said Heidi Seaberg, Resident Care Director. Ady advises seniors considering senior living to embrace flexibility. She says adaptability is key. We’d love for you to stop in and meet Ady! If you’d like more information about Arbor Terrace Ortega or would like to tour with us, click here.